Hey! Hey! HEY! Happy Thanksgiving!! And…to those of you not in the US…HAPPY THANKSGIVING ANYWAYS. Uh. If you read yesterday’s post you know I’m a big punchy. Just wanted to drop in and say HEY! …and … I hope you have a fantabulous Thanksgiving…and I’ll see you next week for some actual coherent thoughts! 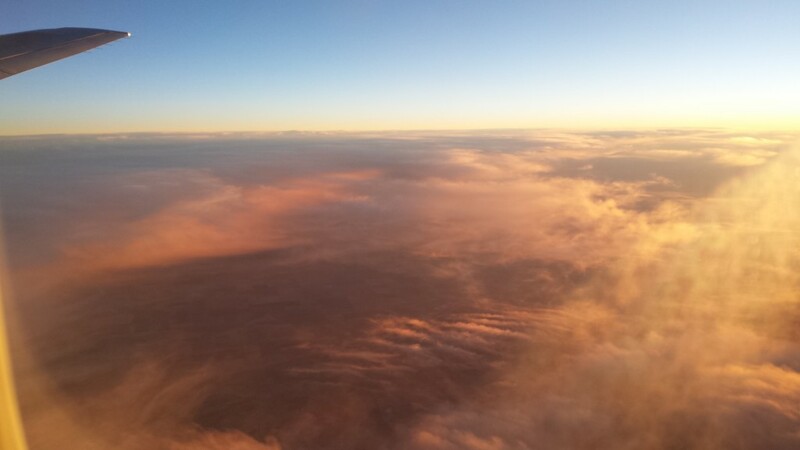 …I’ll leave you with the Sunset from the flight that I thought would never end yesterday. Amanda @ .running with spoons. recently posted…. thinking out loud #106 .